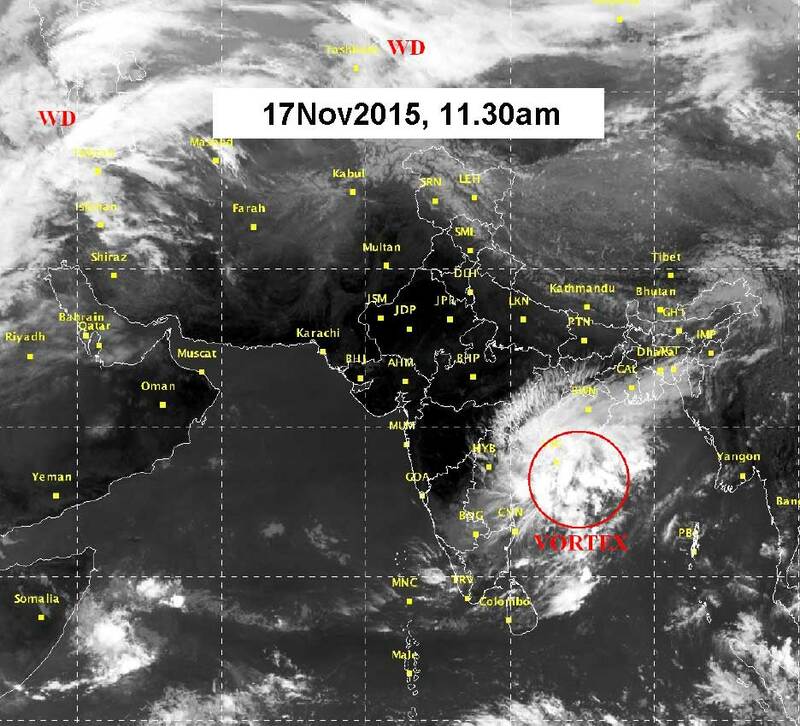 As per IMD the well marked Low Pressure Area now lies off the Andhra Pradesh and North Tamil Nadu coast (see above). Had it moved inland it would have weakened quickly - now that it is still in the Bay of Bengal, I hope it does not intensify further. The storm though not a depression or cyclone has caused enough fatalities and damage in Tamil Nadu already.